Blogging has been a thriving industry since the birth of social media and digital marketing. Different types of bloggers exist in the online world nowadays, whether they’re blogging to build an online community of their own or to promote products or services and generate more traffic, exposure and eventually sales. With these many purposes, there are different styles and designs that people use for their blogs. 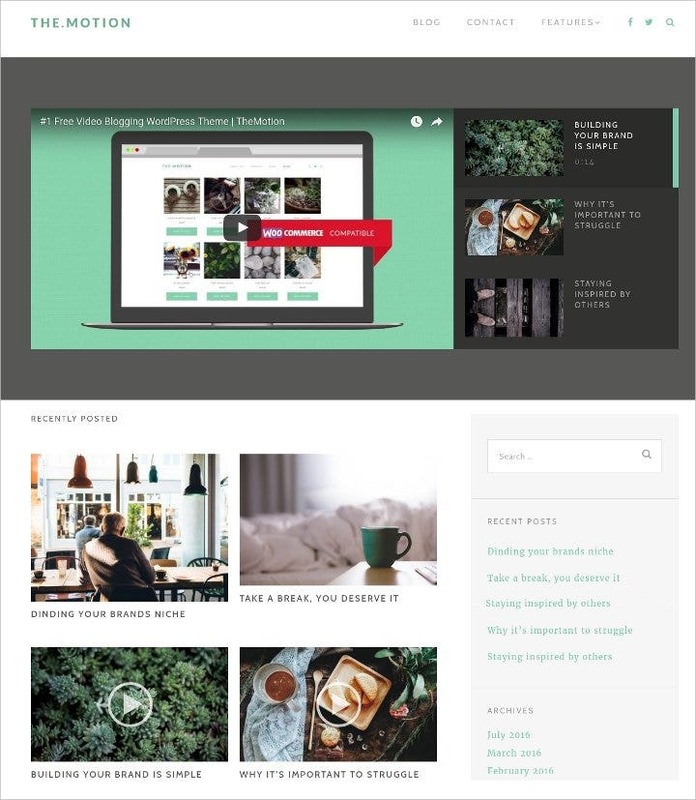 This post presents a number of free themes and templates that you can download and utilize, whether you’re a blogger or a designer. The Amadeus WordPress theme presented above has a simple yet elegant layout with a clean white background and simple black typography. It also provides an ample space for high-res images featured for each post great for photography or fashion blogs. 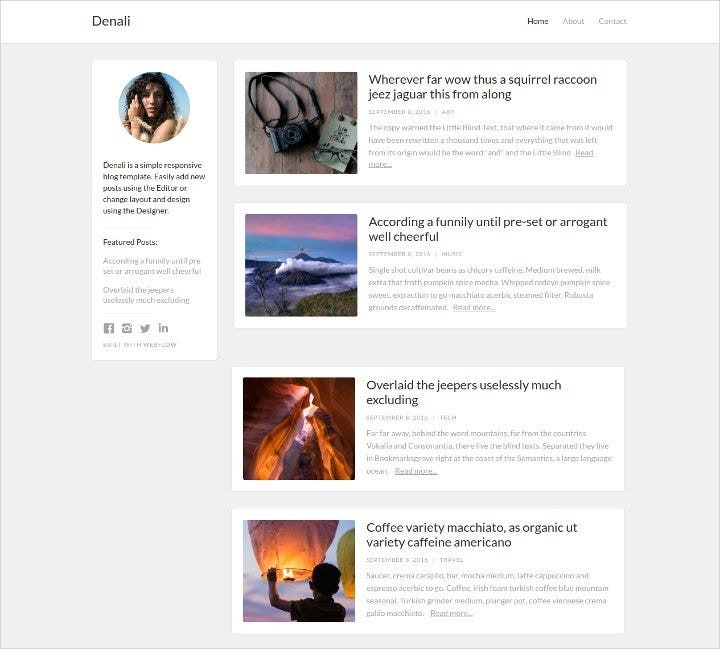 Denali is another simple blog template with a clean and immaculate aesthetic. 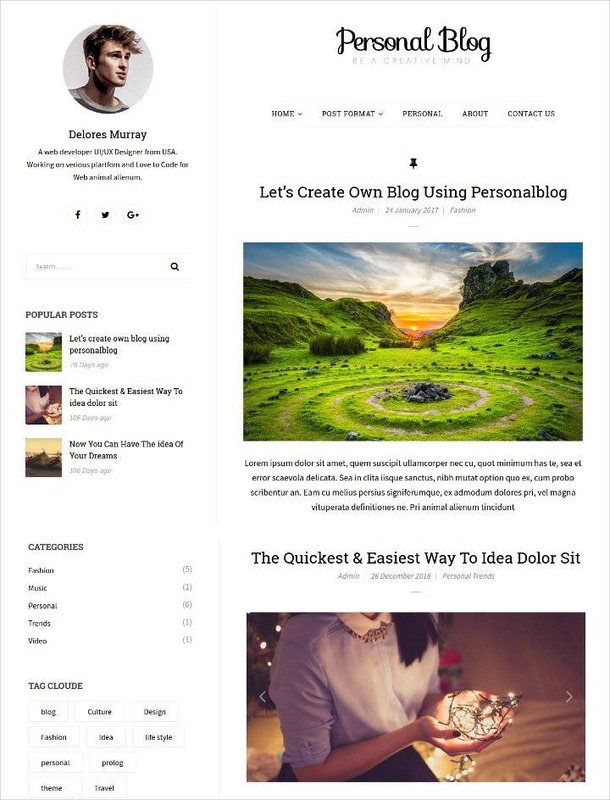 It allows users to easily edit the layout or add content to the blog. Yet, this template focuses more on it’s mobile and CMS readiness in order in order for any blogger to create a dynamic content. 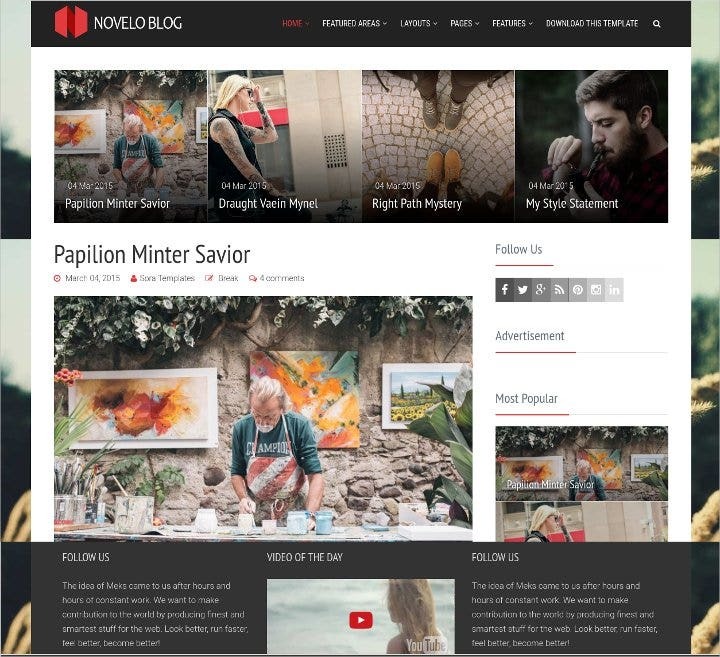 This WordPress theme incorporates video blogging capabilities not only ideal for bloggers but also perfect for vloggers who publish video content. Its image-heavy platform allows large thumbnails and an image slider featured in the header which makes the theme look good on screen. 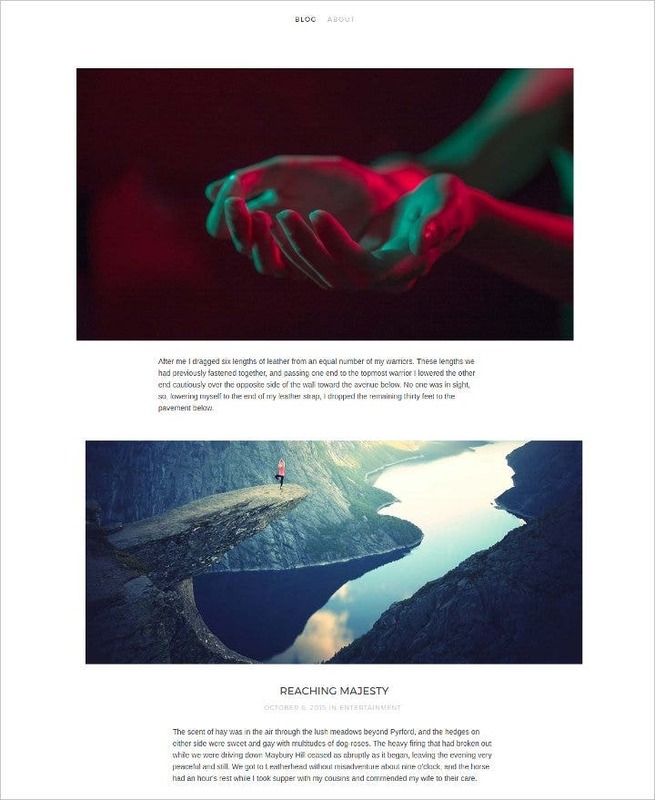 Milton is a blog template great for creatives as it allows you to feature an image for every blog post that you add. It is also characterized by a sidebar where you can put your or the author’s personal information. This characteristic make this template ideal for portfolios. Another aesthetically pleasing theme is the Light North, with a white, black and gray motif with a hint of red. This neat design makes your colorful images pop out or any food mania’s salad look appetizing. It also features pretty and big enough radio buttons. 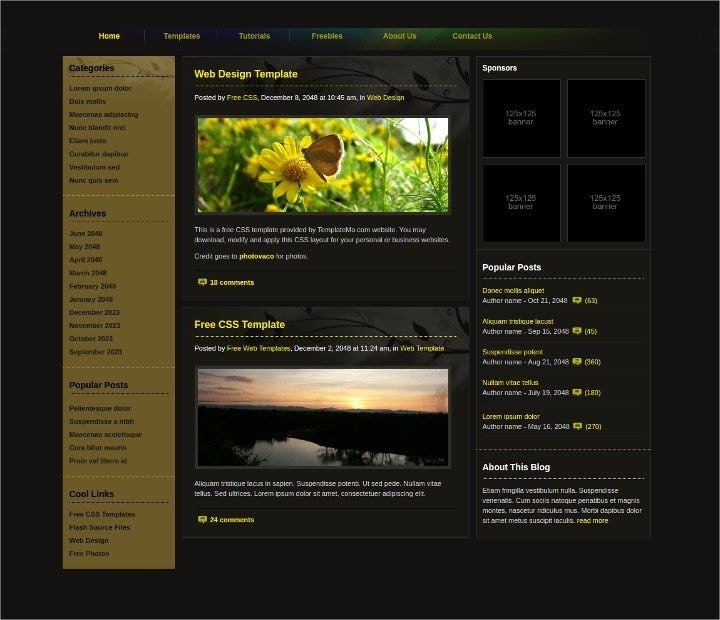 This blog template is characterized by a black and yellow color motif with a beautiful butterfly accent. This is perfect for anyone who is developing a personal blog and likes natural and elegant designs. It has three columns where you can show various website elements in a single view. 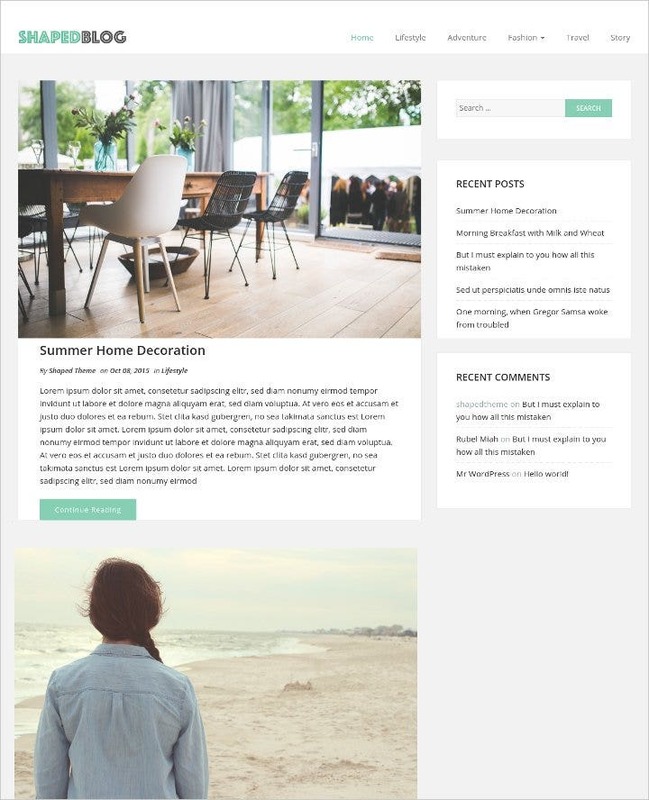 Zinnias Lite is a stylish blog template ideal for text-based blogs such as travel stories, lifestyle tips and other story-telling content. It has a super clean template with elegant typography for headers and easy to read text for a minimal and timeless look. 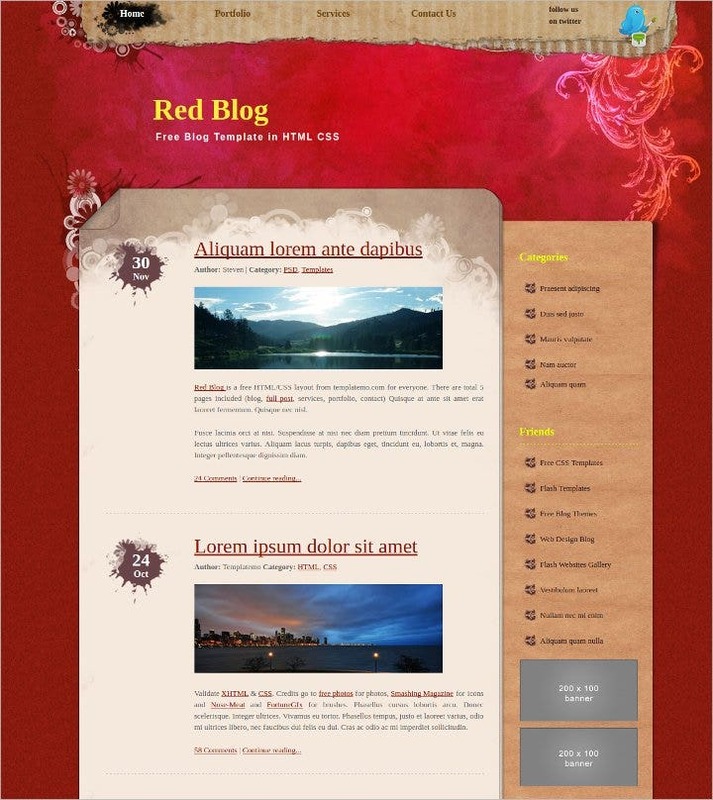 An HTML and CSS-heavy template, Red Blog is perfect for young individuals who want to share their life stories through personal blogs. It features a 2-column layout and includes five (5) different pages. 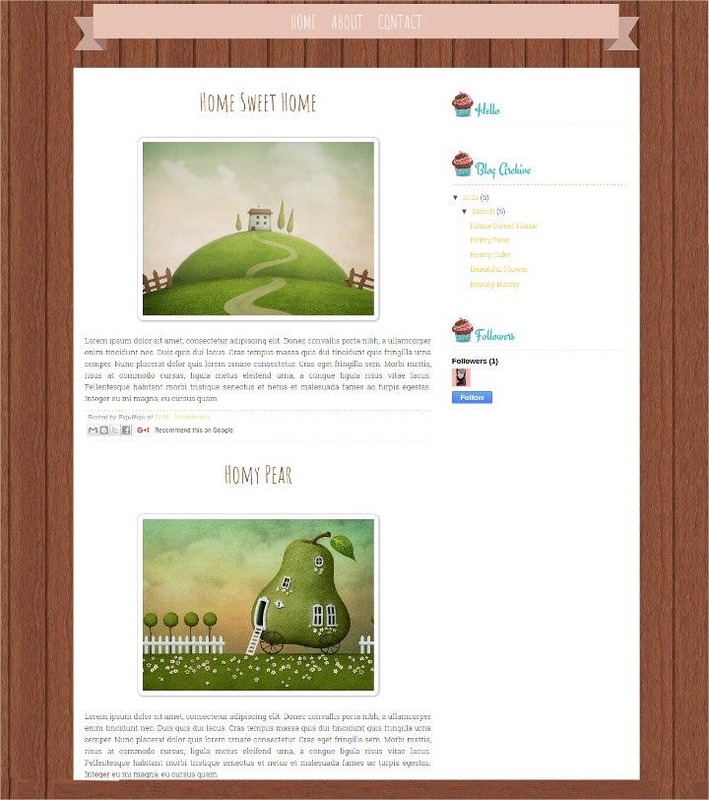 The decorations on this template are whimsical providing a beautiful aesthetic to the site. 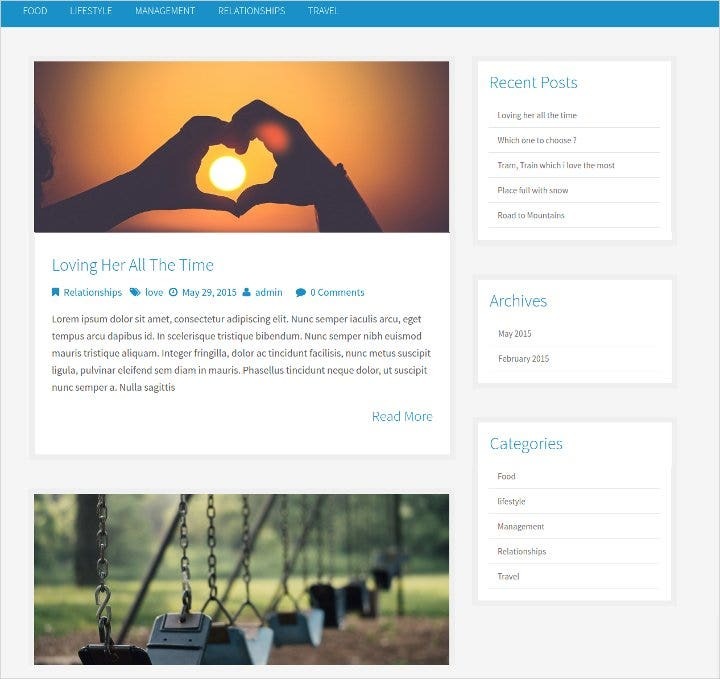 A fully responsive WordPress theme, Shaped Blog highlights an easy-to-use dashboard so that anyone can customize the template according to his or her preferences. 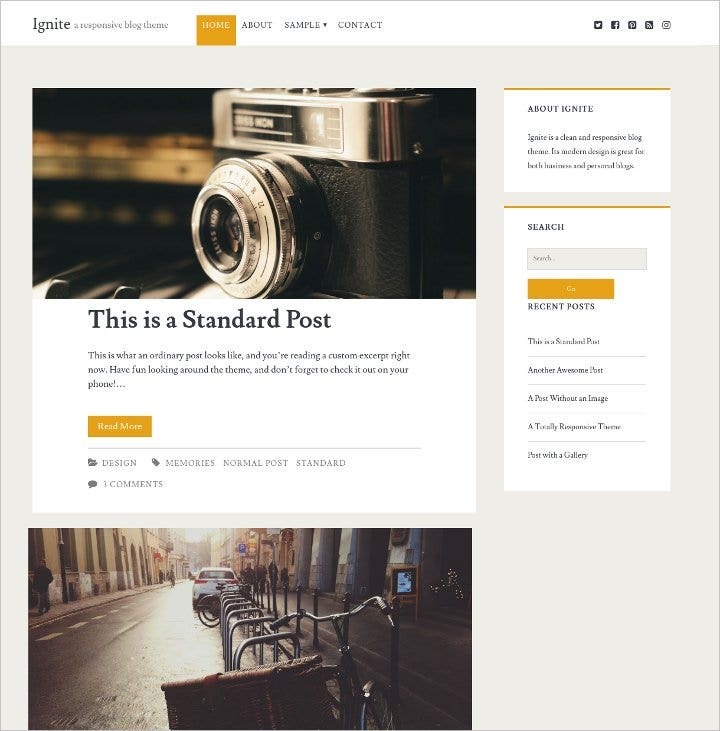 Its light color scheme makes this template look simple yet stunning ideal for corporate and business blogs. 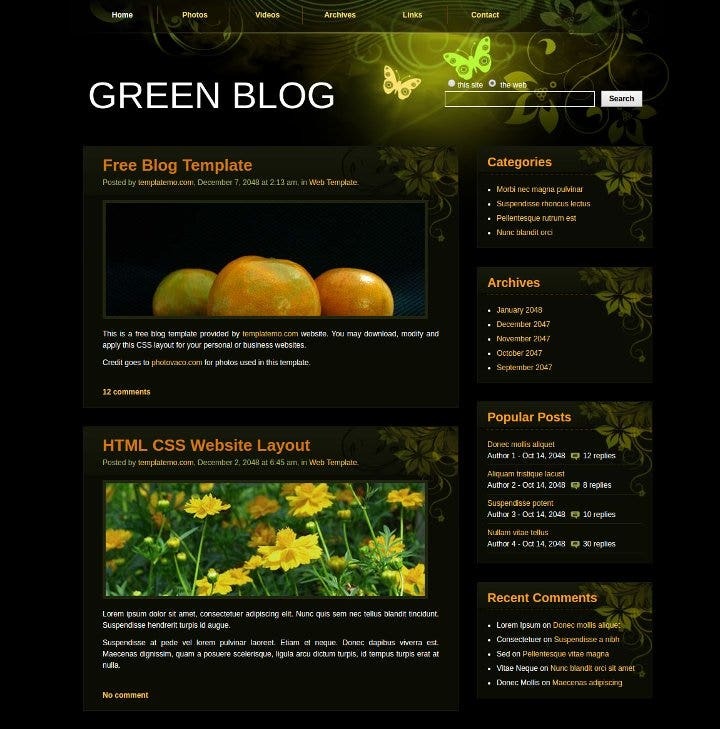 Green Blog is free CSS template that is characterized by a natural color motif of light green and yellow on a dark background. Perfect for personal journals or eco-friendly businesses that sells organic and natural products. Its orange header text compliments well with its background design. Another blog template with a minimalist theme, Simple East is a lightweight, so to speak, which means it loads fast on any browser. It can be used for any blogging purposes, whether personal or business. Created through the Bootstrap framework, it is fully responsive and SEO ready. 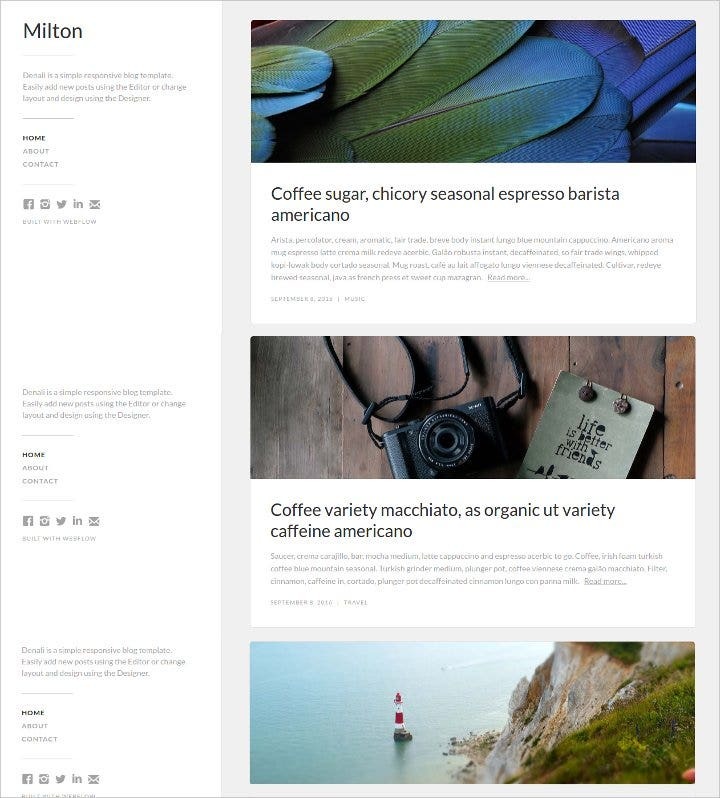 This two-column responsive blog template is characterized by all necessary elements a personal blog should require. It allows you to move the sidebar on each side and provide different pages to input static information. It is SEO ready and social media friendly with its pre-built social media icons. Perhaps the most simple theme from this collection, Tokyo embodies the Japanese aesthetic of minimalist style. Beautiful header fonts and texts accompany each photo while not taking away the attention from the image. This is great to use for photography blogs or anything with image-heavy content. 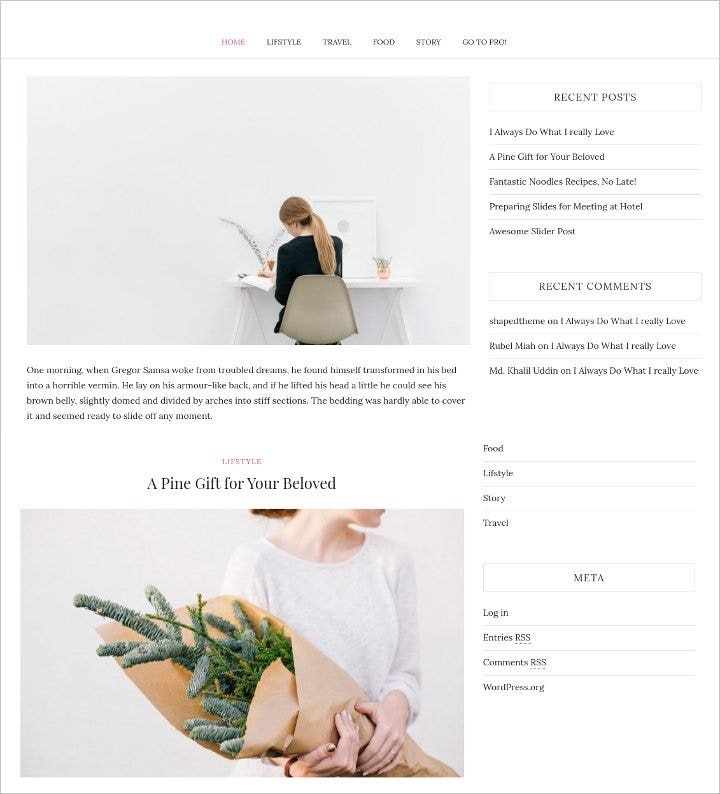 If you’re the type of person who is sweet and loves everything adorable, then this template is the perfect choice for your personal blog. With a wooden texture, ribbons and pastry icons, this vintage template is also a great choice to showcase your baking hobby and projects. 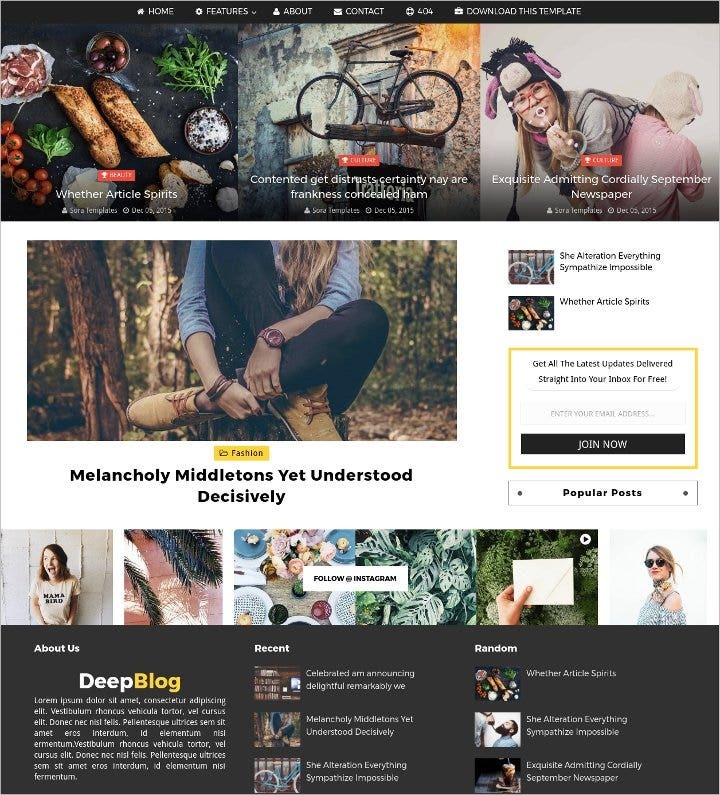 Use the Deep Blog blogger theme if you’re looking for a template that resembles a magazine layout. This template allows you to incorporate as many elements in your homepage without the clutter. It includes a slideshow header that shows some featured articles from your blog. Escape is another responsive website template that is content-driven and features visual thumbnails for each content in the homepage. It also presents a dynamic page that contains all the categories in which each article belongs. So, the user can easily choose the articles according to these categories. 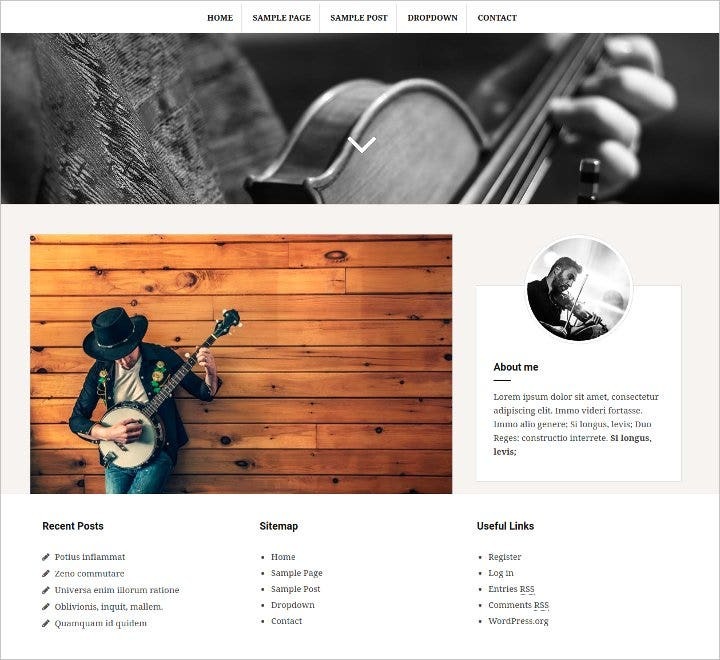 The theme above is another simple WordPress template that is clean so that all the attention is directed on your content. Its minimalist aesthetic and responsive capability also makes it look good on any device such as laptops, tablets, and phones. 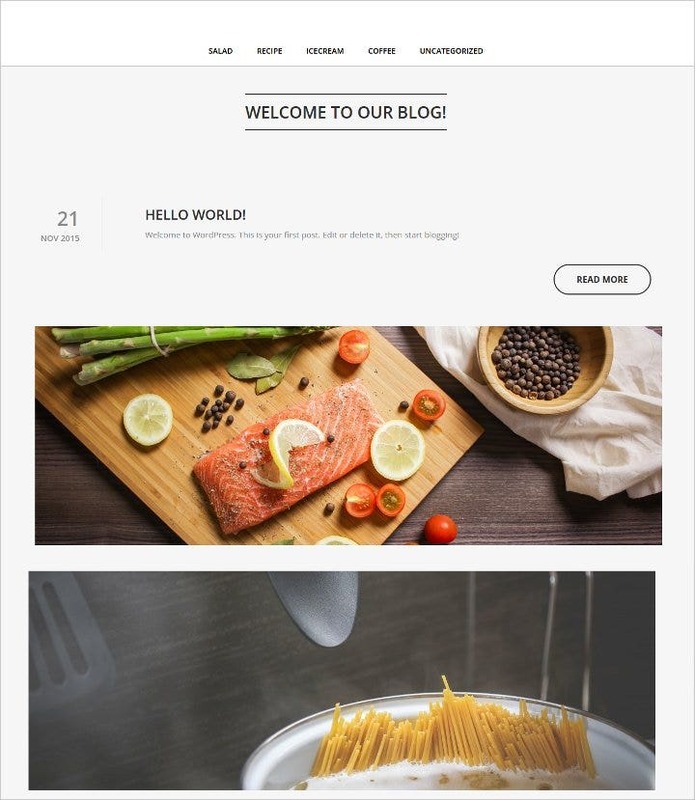 Novelo is a responsive blog template that is considered perfect for professional use with its customizable elements that caters to every professional website’s needs. It has a comfortable user interface which enables you to change icons, buttons and widgets easily. 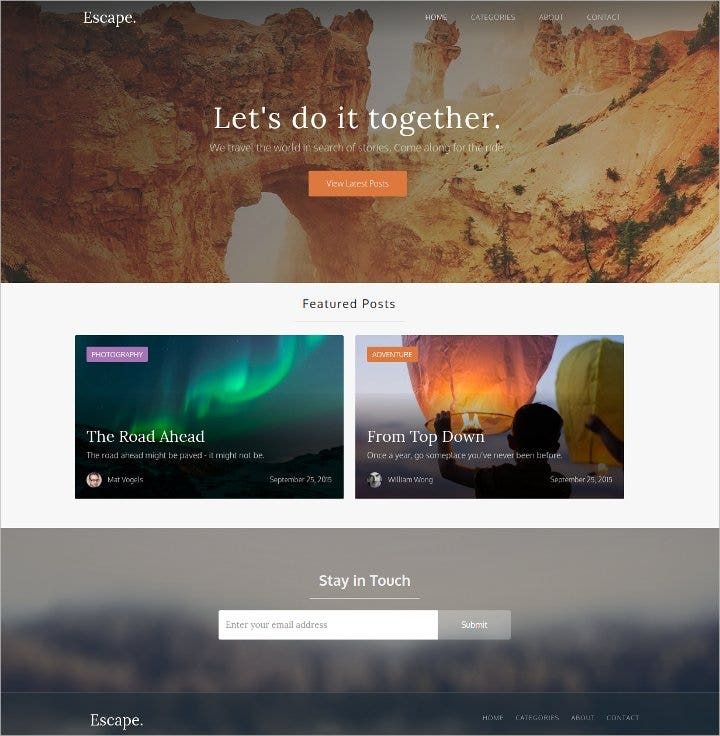 Choosing the right template for your blog is made easy with this collection of blog themes and templates. 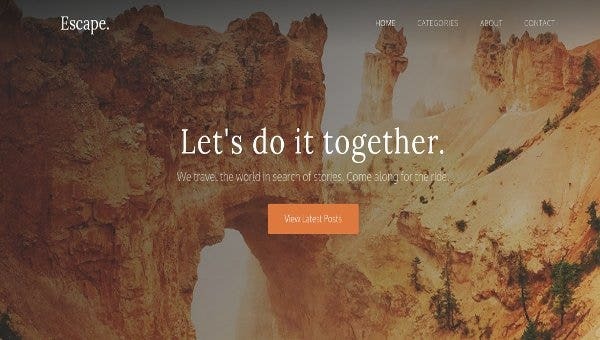 In addition to the all the beautiful design ideas these templates presents, we guarantee that these themes are well-structured and each gives out distinct characteristics that will surely entice your readers, gain followers and increase blog traffic. They are all free to download, therefore, don’t waste too much time and get one of these templates now.